Vegetables or meat? Most of us, would answer meat or both. But there is also a percentage in our planet that people will only prefer eating vegetables and these people are vegetarians. Vegetarianism is a conscious way of eating and involves the practice of following a diet which includes fruits, vegetables, cereal grains, nuts and seeds, with or without dairy products or eggs. A vegetarian does not eat meat, including poultry, fish and shellfish, and may also abstain from by-products of animal slaughter such as animal derived rennet or gelatin. Most non-vegetarians wonder what drives people to convert to vegetarians and give up their daily meat intake in order to adopt an entirely different way of healthy lifestyle. For much of the world, vegetarianism is largely a matter of economics: Meat costs a lot more than, soy, beans or rice, so meat becomes a special occasion dish. Even where meat is plentiful, it’s still used in moderation, often providing a side note to a meal rather than taking center stage. In other countries where meat is not expensive, though, people choose to be vegetarians for reasons other than the cost. Parental preferences, religious or other beliefs, and health issues are among the most common reasons for choosing to be a vegetarian. Vegetarians, unlike meat eaters, face regular questions about their reasons for becoming vegetarian. Many of the reasons fall into the broad categories of Health, Environment, Ethics and Global Food Shortage. Each deserves some explanation. First reason which most vegetarians claim is that they have serious ethical problems with eating meat. They choose to adopt a meatless lifestyle because they care for animals. They don’t want to eat something that had to die first just so they could be nourished. Animal cruelty is predominant throughout the world, in slaughterhouses, egg and dairy industries, and animal testing laboratories. Few people realize just what these conditions are like. Most of the industries, animals are kept in extremely small confinement. Chicken live their entire lives in a small cage. Cows leave their fence enclosures only to be slaughtered. Dairy cows may never be released. Chickens, cows, pigs, and other animals are sentient and intelligent. Mahatma Gandhi and Loe Tolstoy believed that avoiding the consumption of animals is one path toward world peace. People who become vegetarians for this purpose often draw ethical boundaries in different spots, depending on their in-depth personal beliefs. For instance, some staunch vegans will refuse to consume yeast, wear wool, or even eat certain vegetables, such as carrots, that require killing the plant to harvest. So what can you do about this? Become Vegan. Abstaining from the consumption of animals products discourages the industry and shows your support for proper animal treatment. Many people choose to go vegan for many health benefits this lifestyle has to offer. Eating vegetables has more advantages than eating meat alone. Although you can get essential nutrients in meats, there are also many health problems that meat can give you in contrast to vegetables. Many vegetarians hold a combination of different beliefs, and while some look at vegetarianism as extreme, the health benefits cannot be denied. It isn’t possible to get fiber through meat or dairy products, but vegetarians usually eat lots more fiber than their meat-eating counterparts. Furthermore, cholesterol comes from eating animal products, and people who eat less or no animal-based foods will benefit from this diet. Animal products contain extremely high amounts of fat that vegetables don’t have. By not eating high fat foods you will lose weight, even if you continue to eat a lot. Another benefit from vegetables is it cleanses the body. 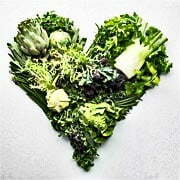 Instead of “doing a cleanse” to detox your body, changing to a vegetarian diet will help clean your body of toxins. Other vegetarians have more broad environmental reasons for their decision. Large amount of finite water and fossils are used to raise animals for meat. An estimated one calories of oil is used to create one calorie of soy. At least 3 to 15 times much water is used to produce a pound of meat as a pound of vegetable protein. Farmers deforest land to create more grazing lands, or vegetarians may cite the amount of grain fed to produce animals for food. This grain could be used to feed thousands of people. Finally, people can do more to reduce the threat of global climate change by cutting out meat than by not driving. Raising animals for meat production is estimated to create 40 percent more greenhouse gas emissions such as methane than all the cars, trucks, and planes in the world combined. Huge amounts of food not to mention the water and farmland required to grow the food can be freed up by modest reduction in meat production. If the 670 million tons of world grains that is fed to livestock were reduced by 10 percent, the resulting grain could feed 225 million people or to keep up with growth in the human population over the next three years. If each American reduced his or her meat consumption by just 5 percent, roughly equivalent to eating less dish of meat each week, enough grain would be saved to feed 25 million people, the number of estimated to go hungry in the U.S. each day. More than one third of the grain grown worldwide is fed to animals. Imagine how many people those grains could feed. These four reasons show why people should strongly consider making these dietary changes, while many people also resist removing meat or all animal products from their diet. Each of us have different beliefs and lifestyles, all we have to do is to respect one’s decisions. People now realized that eating meats and fats, does not keep them healthy, so now they are turning into vegetables and fruits that make our body healthy. A study in The International Journal of Cancer finished that red meat is powerfully linked with breast cancer. The National Cancer Institute says that women who eat meat each day are nearly four times more likely to get breast cancer than those who don’t. People who eat the least quantity of fat and animal products have the lowest risks of cancer, heart attack and other chronic degenerative diseases. I can usually agree that vegetarians have the healthiest diet. They generally eat a very small amount of fat compared to meat eaters. However, certain meats can be very healthy too. For example if you were to primarily eat fish, the oily fats and omega oils would have many advantages over a vegetarian diet. All the four reasons are very strong and good which can make people vegetarian. Mostly I found that ethics and health are most important issues. More use of meat will be causes of cancer and breast cancer. In women who eat meat each day to get breast cancer.